Open 7 days during daylight hours for your enjoyment. 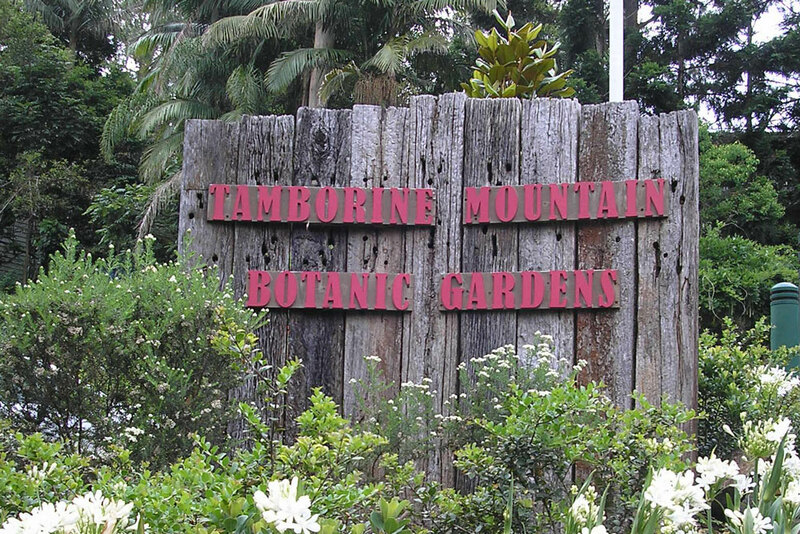 Tamborine Mountain is in the Hinterland of the Gold Coast in SE Queensland. 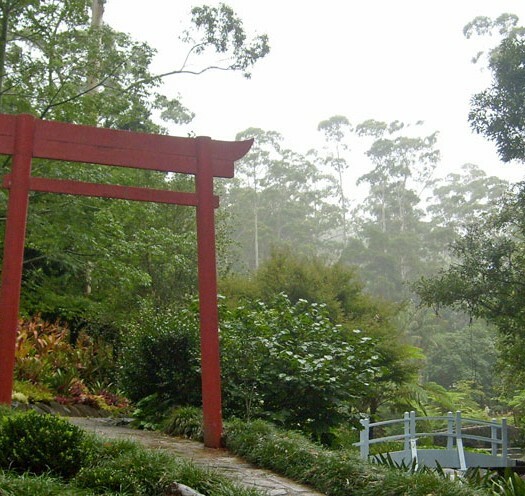 It is easily accessed from the M1 Motorway Exit 57 at Oxenford and by following the signs to Tamborine Mountain. The trip from the M1 will take about 25 minutes and take you through some of SE Queensland’s most beautiful hinterland. Vonda Youngman Centre – venue for garden club meetings. 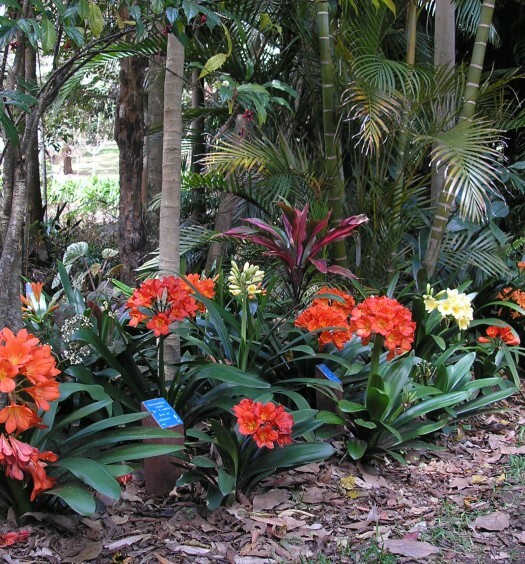 Tamborine Mountain Showgrounds – Markets every Second Sunday of the month. 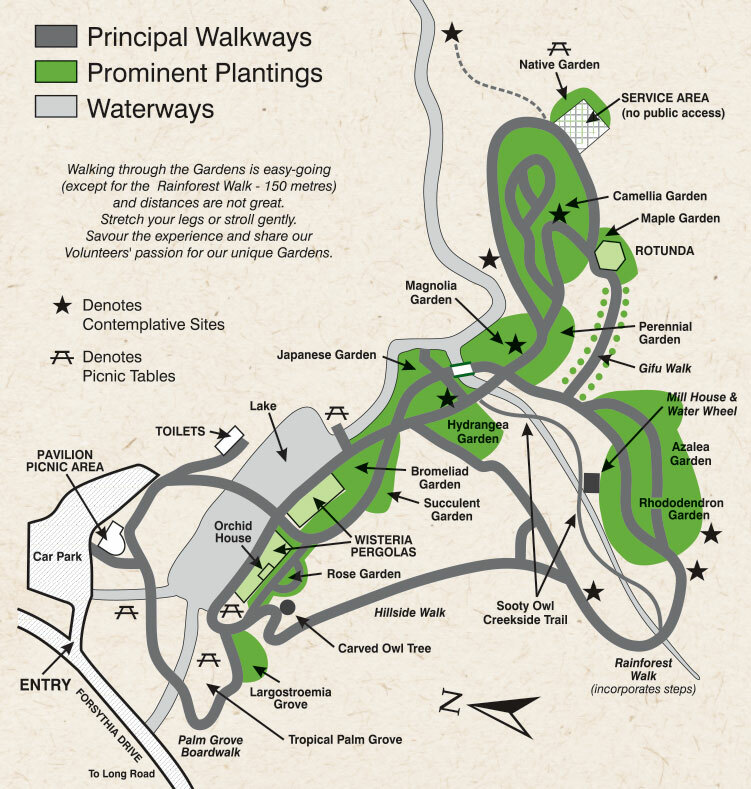 Click HERE to learn more about special areas of the gardens. Admission is free but your donation is gratefully accepted, Donation boxes are places around the Gardens. Please help the volunteers keep the grounds beautiful by taking your waste home with you. There is a bus parking space clearly marked within the Gardens on the left hand side near the Botanic Gardens sign. We ask that this be limited to smaller buses and that coaches use the parking space adjacent to the entrance in Forsythia Drive.